Thanks to all of our 2015 WaterFire Providence Sponsors, their support makes our 2015 event season possible. With the generous support of the Rhode Island community, we are able to bring another magical season full of special events and surprises to Downtown Providence. We look forward to enriching the lives of both residents and visitors to our great city with another magnificent season, and are very grateful to all of our corporate sponsors. WaterFire is a signature Providence event, a tremendous testament to the city’s creative talent and energy,” said Bill Hatfield, Rhode Island president, Bank of America. “It connects artists, businesses and the community as a whole in a partnership that reflects a collective commitment to making our city an engaging, culturally vibrant place to live and work. Cox Communications is a broadband communications and entertainment company, providing advanced digital video, Internet, and telephone services over its own nationwide IP network. The third-largest U.S. cable TV company, Cox serves approximately 6 million residences and businesses. Cox Business is a facilities-based provider of voice, video and data solutions for business customers, and Cox Media is a full-service provider of national and local cable spot and new media advertising. Cox is committed to the education and development of our youth through its employee volunteerism and charitable contributions through Cox Charities grants, as well as sponsorships and in-kind support. Providence combines the accessibility and friendliness of a small town with the culture and sophistication of a big city. With a thriving arts community, vibrant and diverse neighborhoods, outstanding hotels, a renowned restaurant scene and so many things to do, Providence is the perfect place to visit. The city’s compact size and convenient location make it easy to get to and hard to forget. Nearby Warwick offers bountiful shopping and 39 miles of coastline, while the scenic beauty and rich history of Rhode Island’s other regions are a quick drive away. Historic and hip, sophisticated and small-town, Providence packs the best of New England into one convenient and colorful package. Dominion practices environmental stewardship and contributes more than $20 million annually to the environment, education, arts and culture, and health and human services. Dominion’s strategy is to be a leading provider of electricity, natural gas and related services to customers in the energy-intensive Midwest, Mid-Atlantic and Northeast regions of the U.S., a potential market of 50 million homes and businesses where 40 percent of the nation’s energy is consumed. The Gloria Gemma Breast Cancer Resource Foundation is pleased to sponsor WaterFire Providence, as we celebrate and honor those who are/have been affected by breast cancer. In partnership with WaterFire, Flames of Hope: A Celebration of Life™ is meant to bring together the community in one location with a mission of hope and support. The Gloria Gemma Foundation is a resource when patients and families need it most. At Gilead, we are inspired by the opportunity to address unmet medical needs for people living with life-threatening diseases. We are proud to sponsor WaterFire Providence and light a fire in recognition of the more than 3 million Americans living with hepatitis C.
iHeart Media Providence is proud to be a media partner with Water Fire Providence. We feel a strong bond with the radio listeners who have helped to make our stations some of the top brands in Southern New England. We are proud of WHJJ-AM NewsRadio 920, highlighting our commitment to providing up-to-the minute news, traffic and weather. Meanwhile, our FM stations, 94HJY, B101 and Coast 93.3 provide a balanced mix of music and entertainment, news and information, and public service, 24/7. Thank you, WaterFire, for helping us to expand our outreach, as we proudly serve the people of Southern New England. IGT’s philanthropic efforts are designed to enrich and strengthen the communities where we live and work. We focus on creating educational opportunities and fostering community initiatives, including the arts and cultural events. WaterFire Providence is a natural partnership that accomplishes many of IGT’s philanthropic goals – educating, enhancing, and improving our local community. National Grid delivers the energy to the places where Rhode Islanders live, work and play. This year, we are once again proud to be a sponsor of WaterFire Providence to help shine a light on the rich cultural heritage of our community. Please visit www.nationalgrid.com and connect with us on Facebook and Twitter for energy-saving ideas for home and business. Navigant Credit Union has been around for a century. It’s not hard to envision another 100 years of success, if we continue to treat our employees and members as family and give back to the communities we serve. Our partnership with WaterFire is one terrific way for us to celebrate with the entire community as we begin the Next 100. At Nortek, we make the places where people live and work better with innovative air management, security, automation and audio visual products. We are pleased to partner with WaterFire Providence to celebrate the city and community that has been home to our global headquarters for almost 50 years. The Providence Journal has been a proud media sponsor of WaterFire for four consecutive seasons. We value our partnership with WaterFire and are pleased to support this wonderful event that brings our community together. Since 1899, “The Independent Man” – an 11-foot, bronze statue – has watched over the affairs of State of Rhode Island and Providence Plantations and its people from his lofty perch atop that State House dome. No better symbol can be found to describe the tradition of local government that still flourishes in the fiercely independent 39 cities and towns that make up the Ocean State. 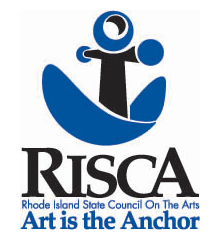 Established in 1967, the RI State Council on the Arts (RISCA) is charged by the state legislature to stimulate public interest and participation in the arts and to serve as the liaison to the state arts community. 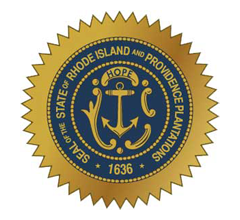 As set forth in the General Laws of Rhode Island, it is the responsibility of the Arts Council to: Stimulate the growth of the state’s arts and the public’s participation in them; Survey and assess the needs of the arts state-wide, and to make recommendations to the Governor and the General Assembly; Provide educational opportunities in the arts; Actively support and encourage the expansion of the state’s cultural resources; Promote and protect freedom of artistic expression. Walmart is proud to support the veterans of Rhode Island and WaterFire for their contributions to the community. Our commitment to hiring 100,000 veterans nationwide and investing $20 million in transition and employment programs has already resulted in many new job opportunities, management positions, and a better quality of life for Rhode Island veterans. Walmart’s goal is to have a multiplying effect on the programs and services available to veterans and their families. Waste Management, Inc. is North America’s leading provider of integrated environmental solutions. We partner with our customers and communities to manage and reduce waste from collection to disposal while recovering valuable resources and creating clean, renewable energy. Our 45,000 employees are committed to Environmental Performance — our mission to maximize resource value, while minimizing environmental impact so that both our economy and our environment can thrive. WPRI 12 and The Rhode Show are proud to partner once again with WaterFire Providence. The Rhode Show celebrates and showcases the wonderful people and places in our great little state. From cooking in the kitchen to celebrating local art, helping keep you healthy to sharing hot happenings around town, The Rhode Show has something for everyone! Start your day off with The Rhode Show, weekday mornings at 9 on WPRI 12. Amica Insurance has been a proud supporter of WaterFire Providence, and we are happy to continue our support of this magical experience, which remains free to the public. Your Rhode Island BMW Centers are proud to support WaterFire and its mission to revitalize and transform the urban landscape through public art. We join the community in recognizing the inspiration we can all gain from this special event. 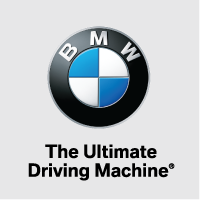 Please stop by the BMW display on Saturday, October 3rd to experience a special exhibit featuring BMW’s own work of art, The Ultimate Driving Machine. Visit www.rhodeislandbmw.com for more information. The US-China Institute and Confucius Institute at Bryant University are proud to be a sponsor of WaterFire Providence to celebrate our diversity through promoting Chinese language and cultural heritage. Over the past 15-months, Brown University has celebrated the 250th anniversary of its founding by offering programs designed to share a fuller and deeper understanding of the University and its historic and ongoing partnership with Providence and Rhode Island. 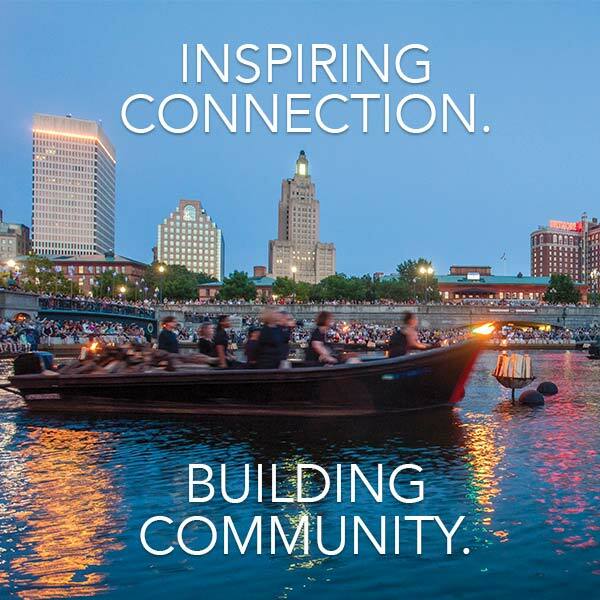 In conjunction with Commencement/Reunion Weekend 2015, we are pleased to mark the conclusion of this historic celebration by sponsoring WaterFire Providence, founded by alumnus Barnaby Evans, and invite alumni, graduates, families, friends and all Rhode Islanders to enjoy this magical exhibit in our capital city. Cox Business provides Data, Voice and Video services to businesses across Rhode Island, including healthcare providers, K-12 and higher education, financial institutions and local governments. Services are delivered over our more than 6,000 network miles throughout the state, a result of the nearly half a billion dollars that Cox has invested in the past decade. The network includes an extensive fiber backbone – there are more than 200 miles of fiber on Aquidneck Island alone. Cox has been consistently recognized for its leadership among small/midsize business data service providers, its commitment to diversity and its contribution to Rhode Island’s communities. Cox Charities has provided nearly $6 million in cash and in-kind support to organizations in the northeast that support after-school and summer learning. The Northeastern Society of Orthodontists (NESO) is a not-for-profit corporation, recognized as a constituent of the American Association of Orthodontists (AAO). NESO serves orthodontists in the states of Maine, New Hampshire, Vermont, Massachusetts, Rhode Island, Connecticut, New York and the Canadian provinces of Quebec, New Brunswick, Prince Edward Island, Nova Scotia and Newfoundland. For 80 years, Webster Bank has supported organizations that enrich our communities with vibrancy and hope. We are pleased to support WaterFire Providence® and it’s integral role in the city’s renaissance. Webster Bank, NA., Member FDIC. Cox Media’s unparalleled targeting allows you to spend your advertising dollars more effectively with demographic, lifestyle and geographic targeting. Highlighting your business to the right customer to build your bottom line. Offering a full service partnership with industry-leading insights, research and production capabilities, our partnership focuses on understanding you. Our team of experts will customize an advertising solution with your goals in mind. Destination content associates your business with the lifestyle, news and entertainment content that attracts your target customers and sets you apart from your competition on-air and online. 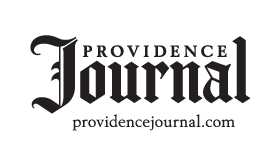 The Providence Journal has been a proud media sponsor of WaterFire Providence for three consecutive seasons. We value our partnership with Waterfire and are pleased to support this wonderful event that brings our community together. The Providence College National Alumni Association, through its National Alumni Association Council, fosters a spirit of association among its members and advances the mission of the College. The Association also supports the ongoing efforts of various College programs that contribute to creating a strong connection to Providence College among its members. The Alumni Association has a wonderful history of service to the College rich with tradition and volunteerism. There are fifteen formal regional clubs and fourteen less formal regional associations. A variety of events are held each year including sports nights, career nights, community service activities and cultural affairs. Literally hundreds of alumni volunteers donate their time and talents in order to make these events successful. The Volvo Group of Companies is a proud sponsor of WaterFire, which will be one of the main attractions for attendees of the Volvo Ocean Race North American stopover on May 16, 2015. The Volvo Ocean Race is the world’s premier offshore sailing event, held every three years with in-port races at stopover cities around the world. The 2015 North American stopover will be held in Newport from May 9-17. Volvo supports initiatives related to arts and culture, such as WaterFire, in an effort to enrich and improve the quality of life in the communities in which we operate.